Categories: First Nations, History, Member Pricing, Museums, New and Recent. WINNER of two PubWest Book Design Awards: Judges’ Choice Award and a Gold Medal in the Adult Trade – Illustrated category. WINNER of an Alcuin Society Award for Excellence in Book Design in Canada: Second Prize in the Prose Illustrated category. 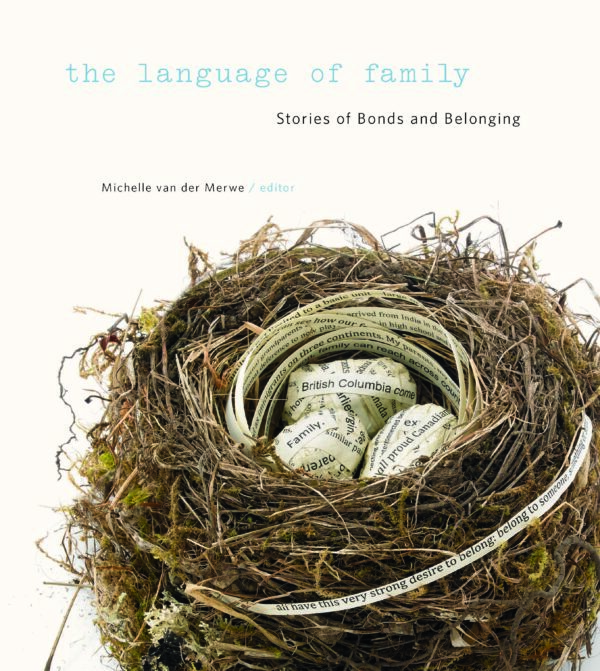 In The Language of Family: Stories of Bonds and Belonging, twenty contributors from across British Columbia—including museum curators, cultural luminaries, writers and thinkers young and old from First Nations, LGBTQ, Japanese Canadian and Punjabi communities, among others—share their vastly differing perspectives on what family means. This superb collection of personal narratives, poems and essays will provoke, tease, enlighten and infuriate. Isn’t that what family does best? Jack Lohman, Sadhu Binning, Martha Black, Don Bourdon, Kathryn Bridge, Tzu-I Chung, Shushma Datt, Mo Dhaliwal, Zoé Duhaime, barbara findlay, Lynn Greenhough, Judith I. Guichon, Lorne F. Hammond, Joy Kogawa, Patrick Lane, Luke Marston, Bev Sellars, Monique Gray Smith, Ann-Bernice Thomas and Larry Wong. CONGRATULATIONS to The Language of Family, one of the best designed books in Canada in 2017. CONGRATULATIONS to The Language of Family, which won the Judges Choice Award at the PubWest Book Design Awards and also won a Gold Medal in the Adult Trade–Illustrated category. The PubWest Design Awards were developed 34 years ago to recognize superior design and outstanding production quality of books across North America.